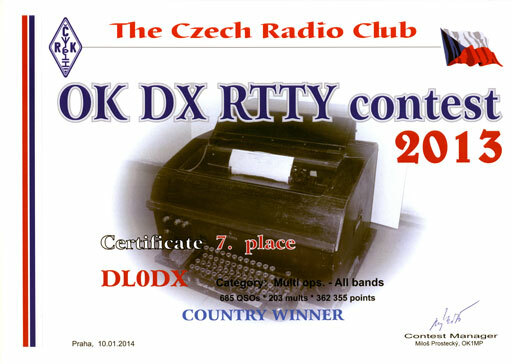 The members of the local club periodically participate contests using the club call DL0DX. Here is a list of some of the team results. 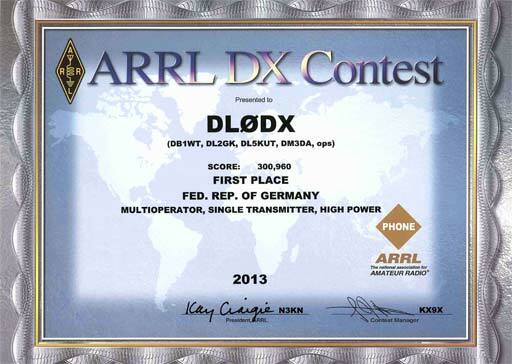 Winner of the multi operator section in Germany. 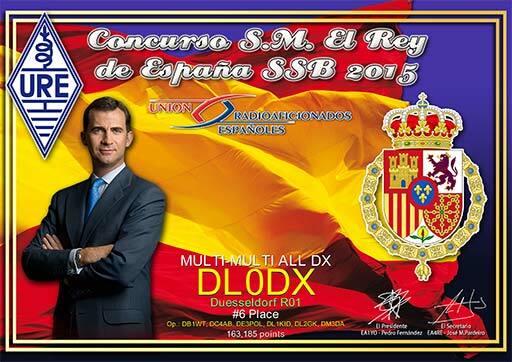 Third place world wide. 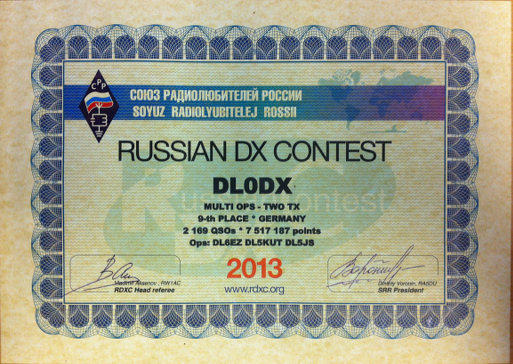 6th place of the multi operator section in Europe. 25th of the section portable, multi operator, low power, non-assisted. 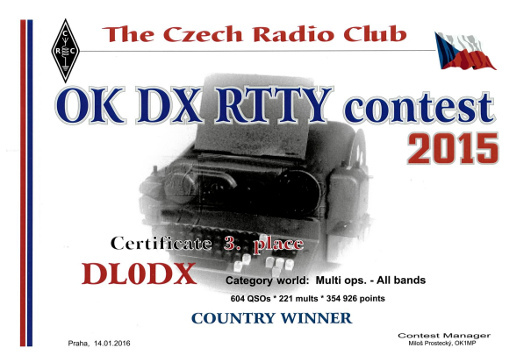 Place 60 of the multi operator section. 8th place of the multi operator section in Europe. 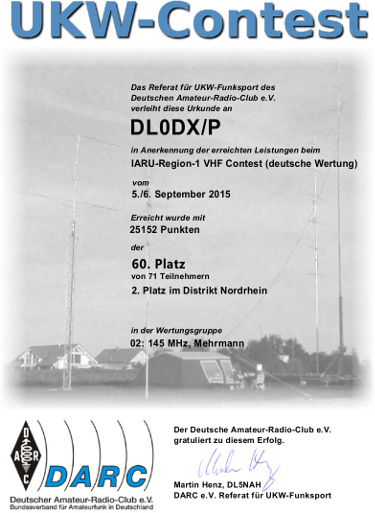 Winner of the German stations in the multi operator class, place 7 world wide. 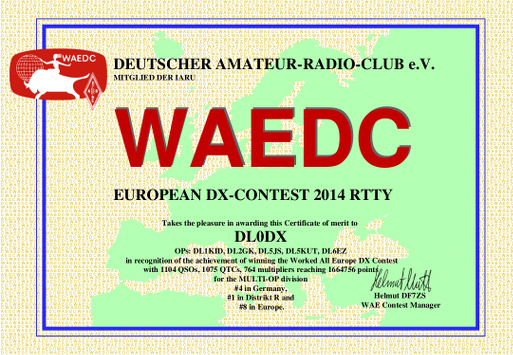 9th place in Germany in the multi operator / two transmitter section. 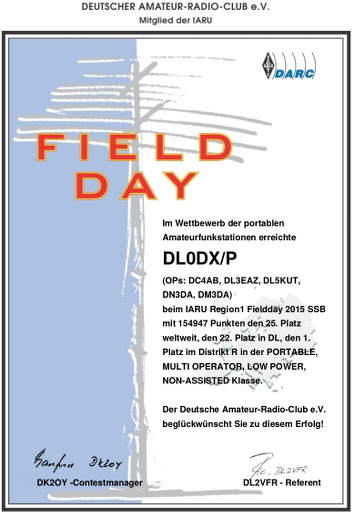 Winner of the German stations in the multi operator / single transmitter / high power class, place 57 world wide.